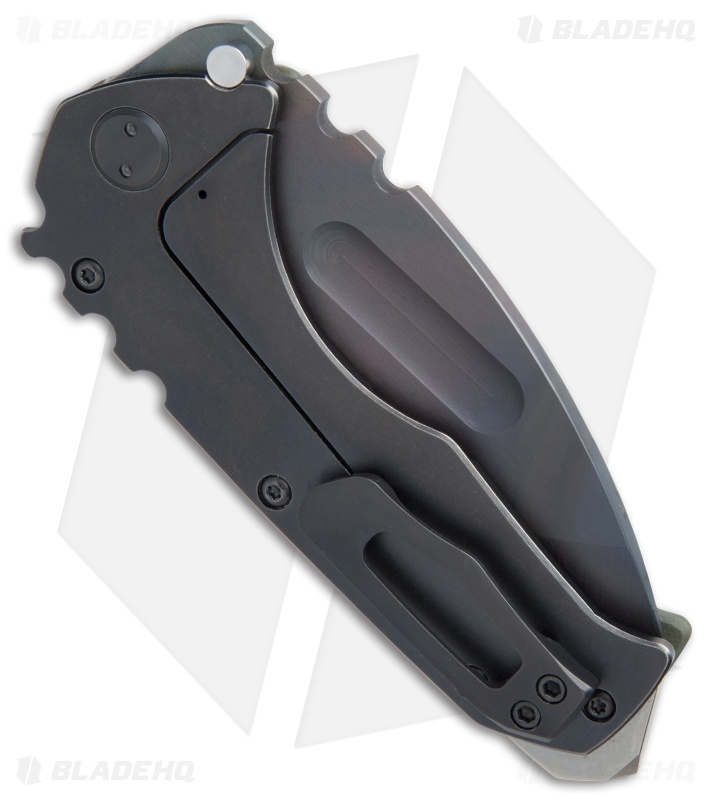 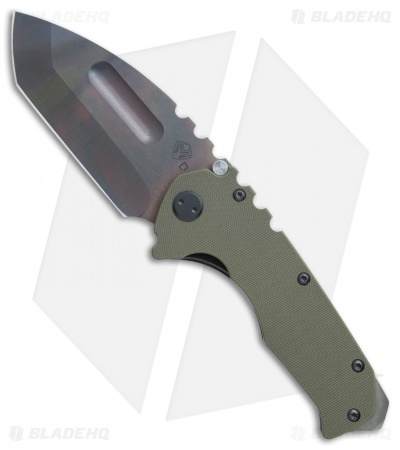 The MKT Praetorian is a big folder in a relatively small package. This version of the knife has a Vulcan finished D2 tool steel tanto style blade with no-bull spine texture and a wide thumb groove opener. 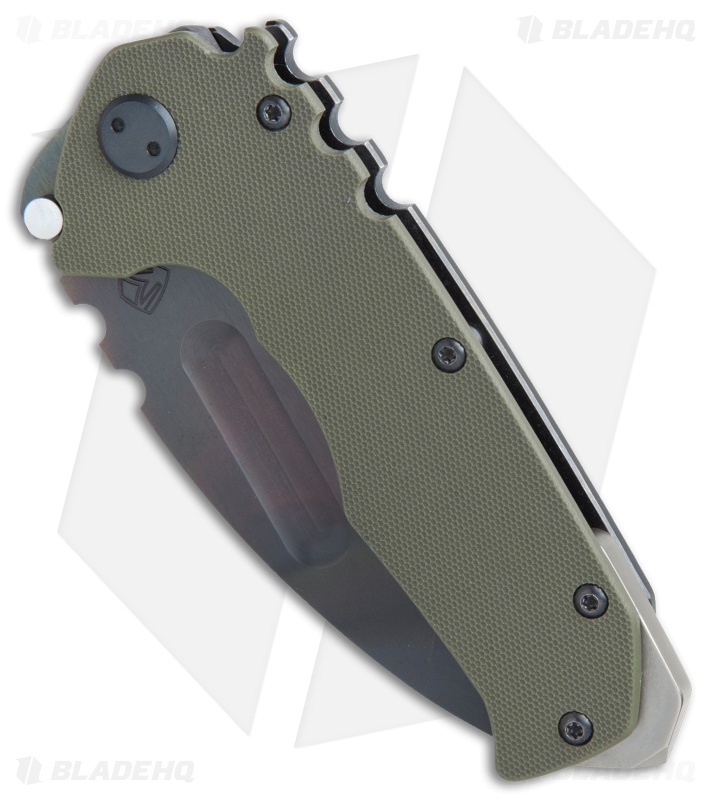 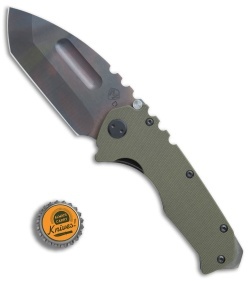 The top handle scale is made from OD green G-10 and the frame is black PVD finished titanium. The Praetorian has a tip-up carry pocket clip and beefy glass breaker tip. Comes in a waterproof case.